Guest Authors @GizmoBolt | Gizmo Bolt - Exposing Technology | Social Media & Web. 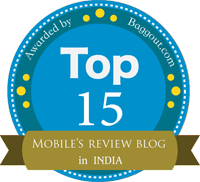 Post written by Guest Authors. Follow GizmoBolt at Facebook I Twitter I Google Plus | LinkedIn | Instagram. Contact GizmoBolt staff at [email protected] for feedback and sending tips. DONATE. What is the biggest concern for a newly established retail business? Not many will be acquainted with this, but a handsome capital and warehousing a huge stock of goods in your inventory eventually turn out to be the major concerns. Moreover, if it’s an online store, shipping of products only adds up to your trouble. 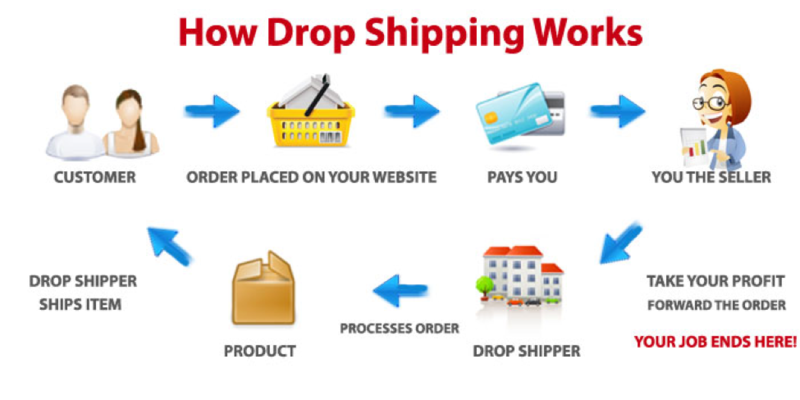 Dropshipping is a relatively newer concept and business model in the e-commerce scenario. Through drop shipping, the owner of the new business buys a product from another seller (retailer as well as a wholesaler) and gets it shipped directly to the customer. One important factor while framing such structure is that the dropshipper doesn’t have physical possession of the good at any point of time. Despite being a relatively newer concept, dropshipping is getting extremely popular. This is a process in which a person partners with a dropshipping client and lists all the product from the client’s product portfolio. Once a buyer makes the order, the dropshipper purchases the product from the client and gets it delivered directly to the buyer’s address. Dropshippers do not require a very high amount of capital to be invested and the risk involved is also very low. Moreover, it is easier to set and scale up. This is because it does not require a lot of manual stuffs to be done and the set-up process is spread on a short lifespan. Setting up a new business requires a huge capital. But dropshipping almost kills this notion. The good thing about this business structure is that it requires very little capital or manpower to set up. The most notable benefit of getting started with a new drop shipping business is that they do not require warehousing. The inventory size of the entire business setup could be zero and still a good amount of profit could be made. As a result, the cost of warehousing or maintaining the inventory is nil or negligible. If you are doing business in the field of dropshipping, you can always be in the good books of your consumers. As opposed to traditional e-commerce, where many products cannot be listed at once owing to the fact that they require a big inventory, dropshipping will offer a wider range of products across all ranges and the business does not require any backlogs or inventories. Dropshipping won’t bind you down to one fixed location. In fact, in most cases, it isn’t a physical business. It can be carried out from any location you are in. All you need is a laptop and an internet connection. Starting a new business isn’t a sip from your favourite coffee at Starbucks. Instead, for some business, the entire process will burn you down in terms of energy and excitement until the entire process is completed. But when you are looking to set up a dropshipping e-commerce, the process becomes quite simple. Find a supplier. This is the biggest step towards setting up your new business. You need to explore a few suppliers with whom you can partner and set it up. Make sure to partner with a supplier with huge variety and good on-time delivery ratio. Sign up with Shopify: You don’t need a huge budget or web development skills to create an online dropshipping store. You can do so easily with Shopify. Simply go to shopify.com and add your store name to get it going. You will get a free trial for 14 days. Install Oberlo app: Once you are done with creating your store at Shopify, search for Oberlo app and install it. This app will assist you in listing a wide range of products with just a few clicks. Using Oberlo, you can add thousands of products from Oberlo Supply and Aliexpress, and start shipping directly to your customers on order. Choose your niche: This is important. Choose a niche where you can market your products well. Once you are done with installing the app, you need to choose a niche of products that you think will be the best one to suit the demand. You can now import the products from AliExpress directly to your Shopify store and start your business. Setting up an online business has never been this easy. And guess what, this entire process will incur almost zero investment. How? You can install Oberlo on your Shopify store for free. You can create a store at Shopify with a free trial of 14 days, while you can keep using Oberlo without any cost. Note that the free Oberlo account limits you to 500 product and 50 orders per month, which is pretty good for a newbie. Once your business starts getting some traction, you can upgrade to a paid plan. Overall, in the current scenario, there couldn’t be anything better than getting your first business on track with almost zero investment, zero hindrance, zero risk and zero bindings. Some of you have probably heard that phone tracker apps or SMS tracker apps exist and are used to monitor over one’s phone. They work like spyware and open access to all of the phone’s sensitive data from GPS locations and to saved passwords or even social media messages. While the ethics of such a decision are debatable, a lot of spouses use these apps to spy on their significant other. And, while monitoring one’s personal life or spying on someone’s snapchat messages can be gross, usage of lookalike tracking software at work may indeed prove beneficial. 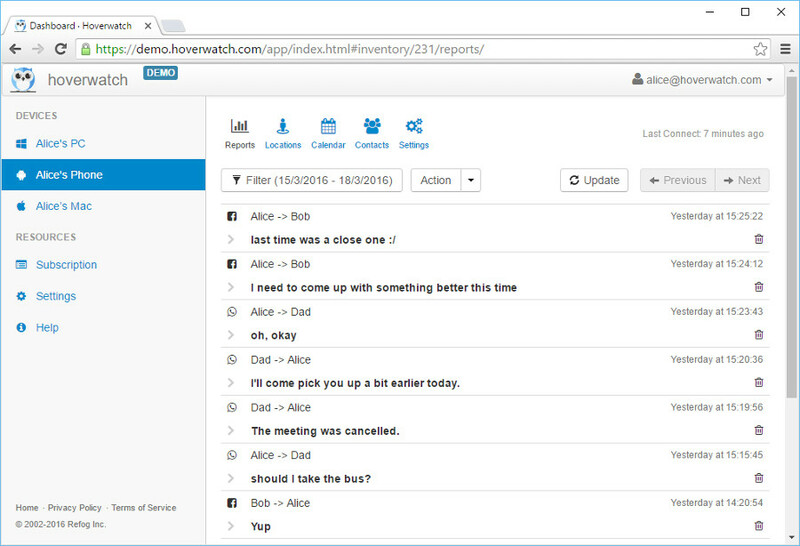 With a tracking software that logs and reports the activities of your employees, you get access to an entirely new level of loyalty, overall productivity enhancements, and an overall data security update. Nice, right? Well, in theory, software that tracks and logs activity and performance of your employees is an outstanding benefit. But, in reality, there are still several challenges in the way. Thus we shall begin with the cons! You don’t trust us. “Why would our employer even want to monitor our performance, say the people who have something to hide. You don’t respect us. “Nobody is perfect, and I should have a spare minute or two of free time. I am not a slave here, after all”, say the people who only procrastinate. You spy on my personal life. “What if I chat with my significant other or reveal a family secret?”, say the people who only use their working hours for social media chattering. All of these issues, however, won’t be a problem to an employee who does exactly what you pay him for during working hours. You won’t get too personal if he doesn’t use social media, you won’t punish him for NOT watching YouTube and you will give him credit for a job well done – everybody wins! Speaking of the devil, what are the perks of tracker apps? Now that we are done with the obstacles, what the main perks of logging apps? Data theft is unimaginable hence you will always know which user downloads or uploads any data onto corporate machines. This is an essential element of a well-protected business in 2017. Employers won’t be talking to HR’s and recruiters from other companies via Skype, Snapchat or LinkedIn because they know you are aware of it. Well, if you manage your team’s schedule and optimize it for unlimited performance based on solid data indicators you will have a clockwork army of workers in a heartbeat. Once controlled and looked after 100% of a time a person won’t allow himself to be sloppy. This is especially relevant in such fields as R&D, Development, and Sales or Marketing – where people directly interact with leads or customers. Security logging apps are a necessity in most up-to-date businesses. The benefit they provide is undeniable. The perks easily outshine all pitfalls. Every smart business owner on the planet will be using logging software shortly – stay ahead of time, embrace the power today and save up to 60% on a yearly subscription plan! Welcome readers to our new post in which we are going to discuss a Forex trading app called DailyForex. 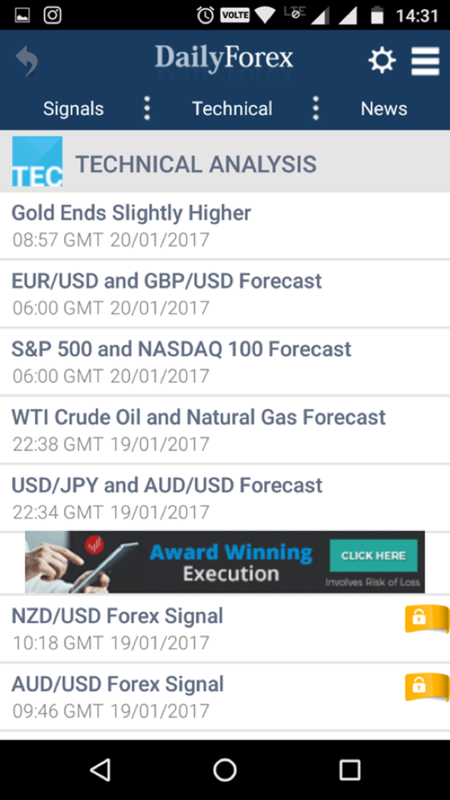 DailyForex.com is one of the oldest platforms which helps traders to trade in Forex by providing helpful Forex Reviews and News. The site has launched its mobile app (available for both iOS and Android) so that the traders can enjoy their services more quickly. Before moving into details about the DailyForex interface and other features let us highlight some key features of the DailyForex site. Forex Reviews: Reviewing some Forex brokers for different area and commodities, etc. Market Updates: It includes Forex News, Analysis, Weekly Forecast, Forex Signals, etc. Learning Materials: DailyForex provides some useful materials like Forex Articles, Forex Basic, Webinar, etc. In fact, users can learn more about Forex in FX Academy. Trading Tools: Trading tools like mobile apps, site widget, etc. are also provided. Others: Some other features are listed below which are very helpful for both pro and new traders. Forex Forecast helps in making plans. Weekly Recap highlight all the activities of the Forex trade market. Expert advice is also provided through DailyForex as free Forex Signals. There are a lot more to discuss about the services provided by the site which is not possible here to explore more, please visit the site or read the below part in which we are explaining the functionality of the app. In part of the post, we will focus on the Android version of DailtForex app, and we will provide some screenshots also which will help our readers to understand the working of the app. 1) Forex Signals: Users can also enjoy free Forex Signals which can help them to improve and can escalate their earning. It is very useful for new traders as this option provide some useful Forex traders advice which can help in Forex trading in the major currency pair. 2) Technical Analysis: Users can go through Forecast regarding gold, Forex trade, crude oil, etc. Forecasting always helps in getting best ROI. 3) Forex News: Users can get latest Forex trade news at their fingertips. Some useful News regarding Forex is provided so that users can make their plan accordingly. 4) Forex Alerts: Instant alerts regarding trade, price, etc. are also provided in this option of the app. 5) Trading Tools: Tools shown below are provided to make trading in Forex easier. Economic Calendar: Highlight of the main Forex events of the year. Live Rates: Provide live prices of currencies, Indices, and Commodities. Currency Convertor: Though it traders can easy convert one currency into another. 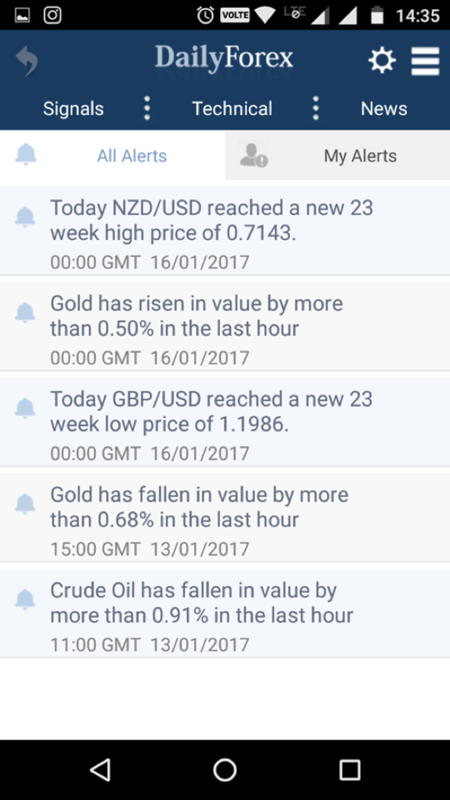 Before coming to a conclusion, please read below positive and negative points about the DailyForex app. It is a free app which comes with large numbers of free services. Most of the features are free like Forex Articles, Forex Signals, etc. Forex Signals and Forex Articles are really very helpful for those who are struggling in Forex trade. Features like Forex News, Forecast, Forex calendar, etc. makes DailyForex app a complete package for both new and pro Forex traders. It is easy to use app users can access most of the features from the home screen only. The DailyForex site and DailyForex apps both are available in many languages which is very good for those who enjoy doing trading in their native languages. 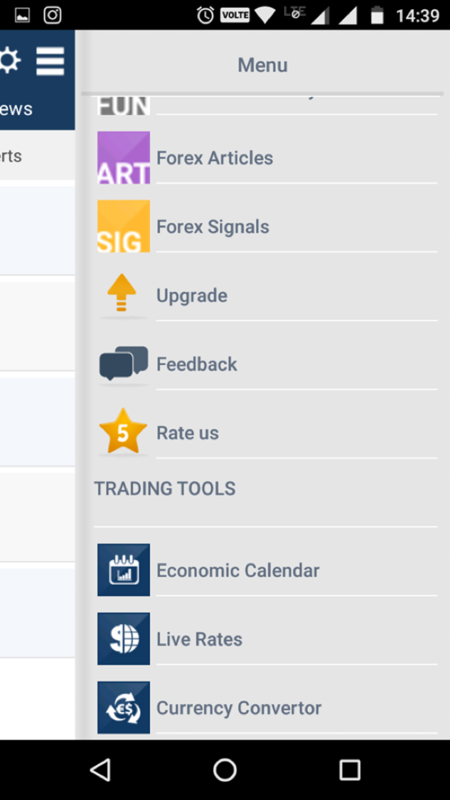 The only drawback with the Daily Forex Android app is that its loading time, loading time of the content is more than normal, otherwise everything is perfect about the Forex Android App. As developers are bringing regular updates, we can hope they will remove this bug in the near future. 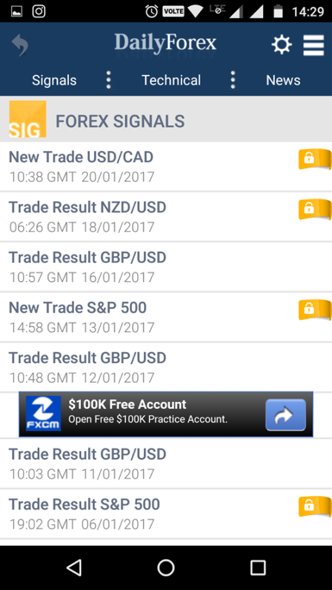 As the DailyForex app is free, download it without any second thought in your mind It is available for both Android and iOS.. You can leave your comments below in the case of any doubts.